The Voices of Glory have made it into all the way to the third and final round of the 2011 Diamond Awards presented by SGN Scoops! The Diamond Awards take place as part of the prestigious Branson Gospel Music Convention and are annually given for excellence in a number of different areas ranging from soloist to groups, Christian to Bluegrass, from music legends to rising stars. The Voices of Glory have earned the incredible distinction to be nominated in 3 categories: Favorite Trio, Favorite Song (“Father Who Cares”) and Favorite Rising Star! 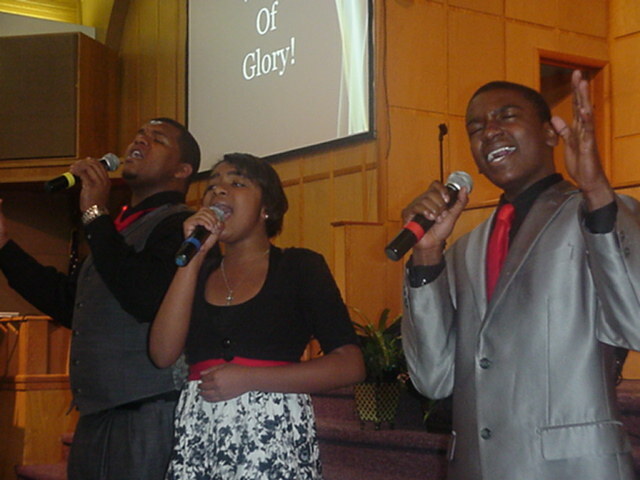 To vote, please go online to www.voicesofglory2020.com, click on the Diamond Awards on the left side of the page and cast your vote for The Voices Of Glory for: Favorite Trio, Favorite Song (“Father Who Cares”) and Favorite Rising Star. With so many other talented artists and to make your vote count for The Voices of Glory, please be sure to fill in all 21 categories on the voting form. Votes can be cast under multiple email addresses. To earn these esteemed awards will be a great blessing for The Voices of Glory as it will increase our public exposure, enhance our credibility in the music industry and, most importantly, assist our desire to spread the Word of God and magnify His goodness and love for us through our songs. We thank each of our fans, friends, and family members for helping us to meet our goals and realize our dreams. We hope you will please forward this to everyone you know, and … remember to vote by May 21st!